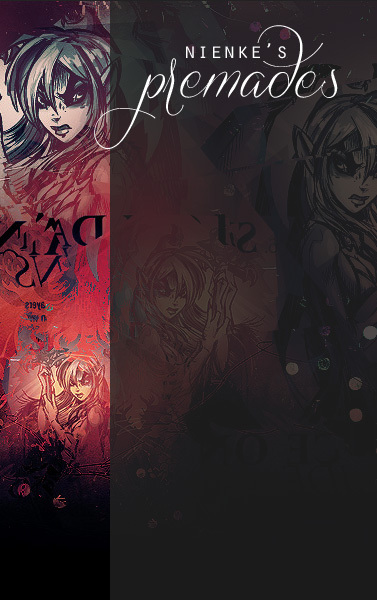 You can browse through the layouts on the right. 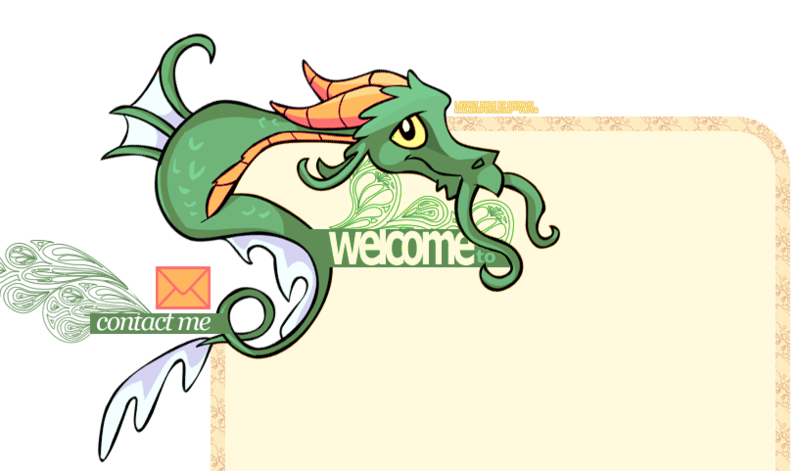 You can search for a specific type of layout or theme by searching (CTRL+F) for tags: continuous or anchored and faeries, petpets or neopets. If you want to grab the code or see a larger screenshot, click the small preview and they will appear in this box. To see the whole screenshot, drag it to your address bar. To clear the box, click the little x in the title. Use the navigation on the left (hover it!) to view my other layouts. 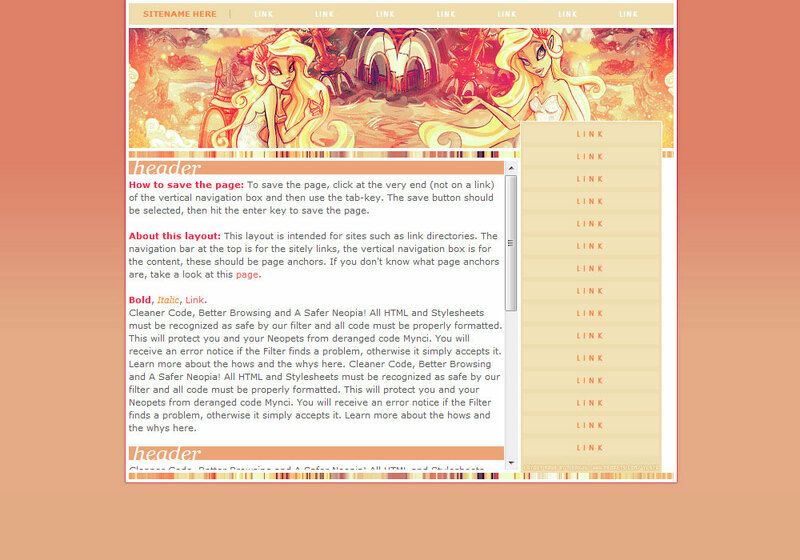 All layouts work in all major browsers (FF, IE, C, O, S) and are no wider than 1000px. 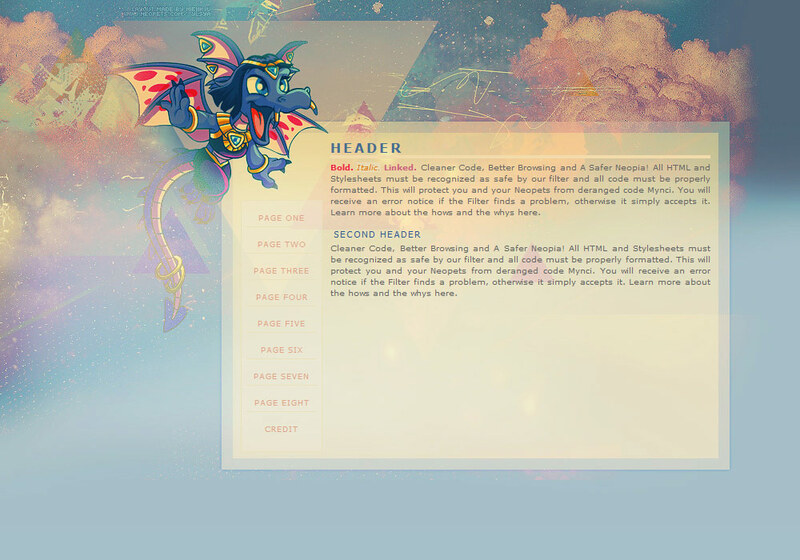 Also, the screenshots may appear a bit blurry, but the layouts are not. They are lower quality to limit bandwidth usage and loading time. If you don't know how to save a page when you can't click the save button directly, then head on to this page for an extensive explanation. Cleaner Code, Better Browsing and A Safer Neopia! All HTML and Stylesheets must be recognized as safe by our filter and all code must be properly formatted. 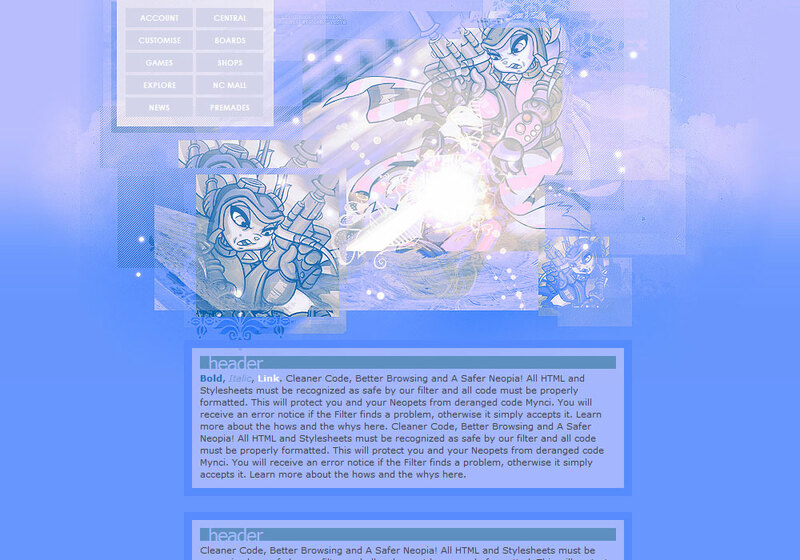 This will protect you and your Neopets from deranged code Mynci. You will receive an error notice if the Filter finds a problem, otherwise it simply accepts it. Learn more about the hows and the whys here. Cleaner Code, Better Browsing and A Safer Neopia! All HTML and Stylesheets must be recognized as safe by our filter and all code must be properly formatted. 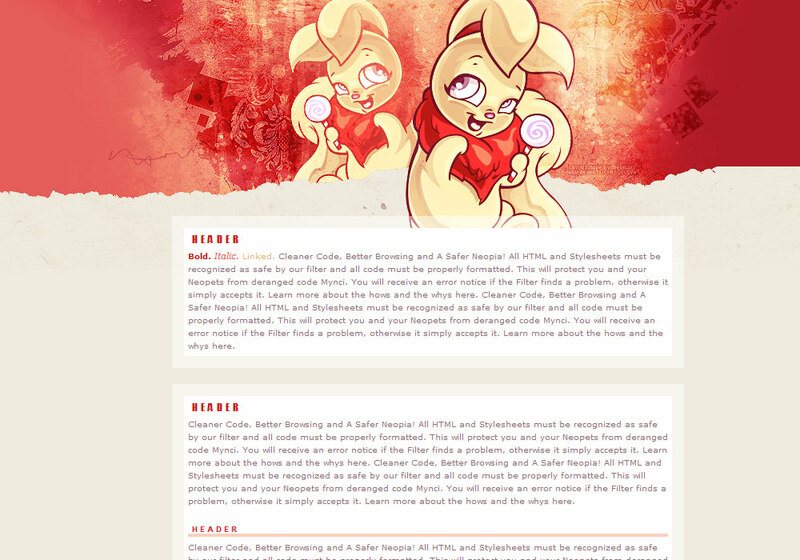 This will protect you and your Neopets from deranged code Mynci. You will receive an error notice if the Filter finds a problem, otherwise it simply accepts it. Learn more about the hows and the whys here. Bold. Italic. Linked. Cleaner Code, Better Browsing and A Safer Neopia! All HTML and Stylesheets must be recognized as safe by our filter and all code must be properly formatted. 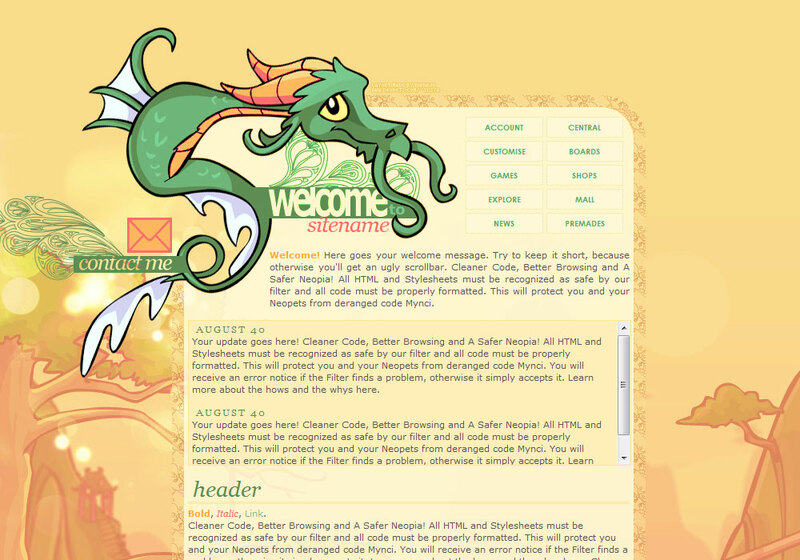 This will protect you and your Neopets from deranged code Mynci. You will receive an error notice if the Filter finds a problem, otherwise it simply accepts it. Learn more about the hows and the whys here. Cleaner Code, Better Browsing and A Safer Neopia! All HTML and Stylesheets must be recognized as safe by our filter and all code must be properly formatted. This will protect you and your Neopets from deranged code Mynci. You will receive an error notice if the Filter finds a problem, otherwise it simply accepts it. Learn more about the hows and the whys here. Bold. Italic. Link. Cleaner Code, Better Browsing and A Safer Neopia! All HTML and Stylesheets must be recognized as safe by our filter and all code must be properly formatted. This will protect you and your Neopets from deranged code Mynci. You will receive an error notice if the Filter finds a problem, otherwise it simply accepts it. Learn more about the hows and the whys here. Cleaner Code, Better Browsing and A Safer Neopia! All HTML and Stylesheets must be recognized as safe by our filter and all code must be properly formatted. This will protect you and your Neopets from deranged code Mynci. You will receive an error notice if the Filter finds a problem, otherwise it simply accepts it. Learn more about the hows and the whys here. Bold, Italic, Link Cleaner Code, Better Browsing and A Safer Neopia! All HTML and Stylesheets must be recognized as safe by our filter and all code must be properly formatted. This will protect you and your Neopets from deranged code Mynci. You will receive an error notice if the Filter finds a problem, otherwise it simply accepts it. Learn more about the hows and the whys here. 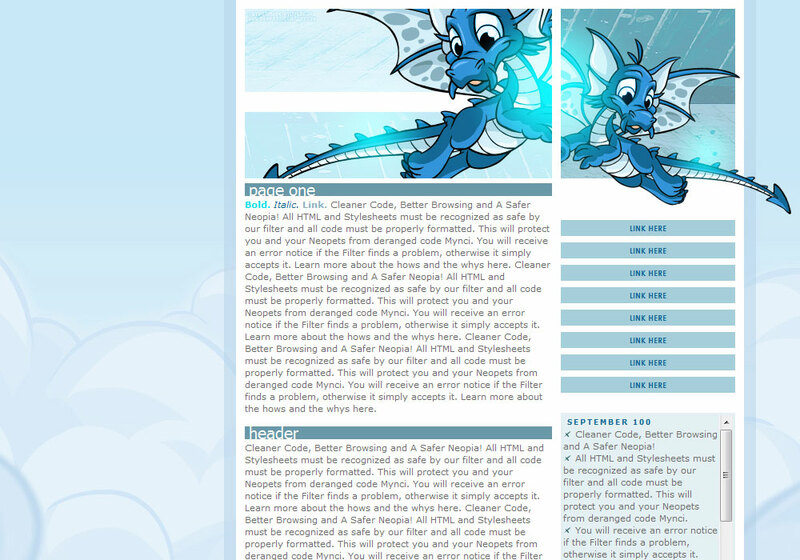 Cleaner Code, Better Browsing and A Safer Neopia! 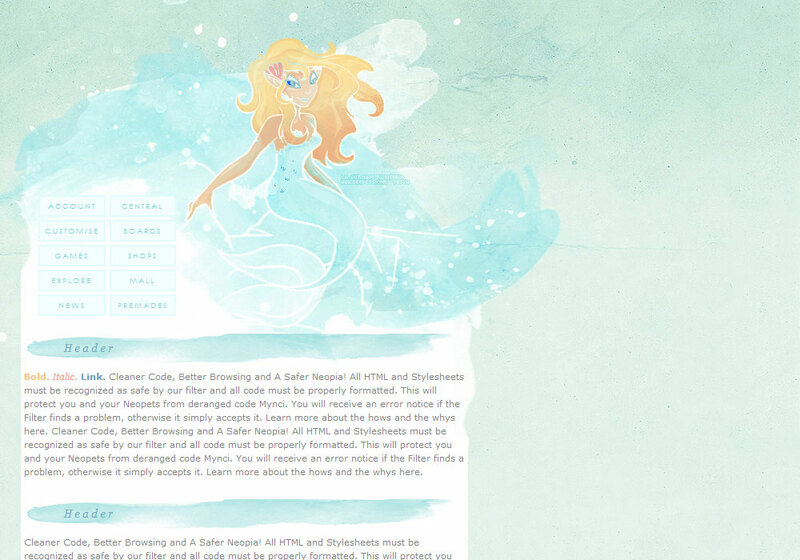 All HTML and Stylesheets must be recognized as safe by our filter and all code must be properly formatted. This will protect you and your Neopets from deranged code Mynci. You will receive an error notice if the Filter finds a problem, otherwise it simply accepts it. Learn more about the hows and the whys here. Cleaner Code, Better Browsing and A Safer Neopia! All HTML and Stylesheets must be recognized as safe by our filter and all code must be properly formatted. This will protect you and your Neopets from deranged code Mynci. You will receive an error notice if the Filter finds a problem, otherwise it simply accepts it. Learn more about the hows and the whys here. 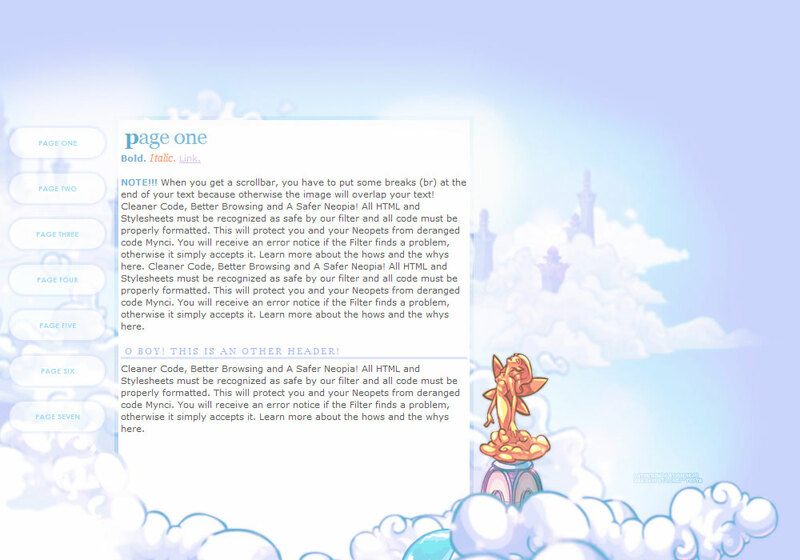 Cleaner Code, Better Browsing and A Safer Neopia! 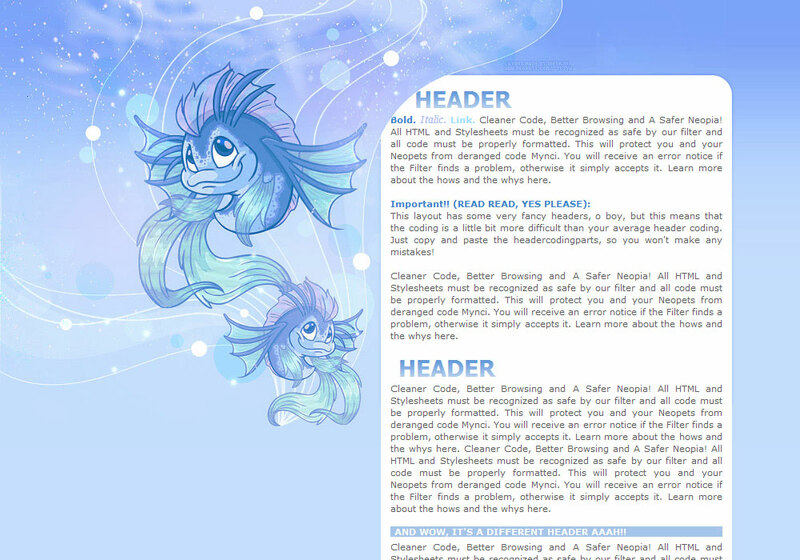 All HTML and Stylesheets must be recognized as safe by our filter and all code must be properly formatted. This will protect you and your Neopets from deranged code Mynci. You will receive an error notice if the Filter finds a problem, otherwise it simply accepts it. Learn more about the hows and the whys here. Cleaner Code, Better Browsing and A Safer Neopia! All HTML and Stylesheets must be recognized as safe by our filter and all code must be properly formatted. This will protect you and your Neopets from deranged code Mynci. You will receive an error notice if the Filter finds a problem, otherwise it simply accepts it. Learn more about the hows and the whys here. Cleaner Code, Better Browsing and A Safer Neopia! All HTML and Stylesheets must be recognized as safe by our filter and all code must be properly formatted. 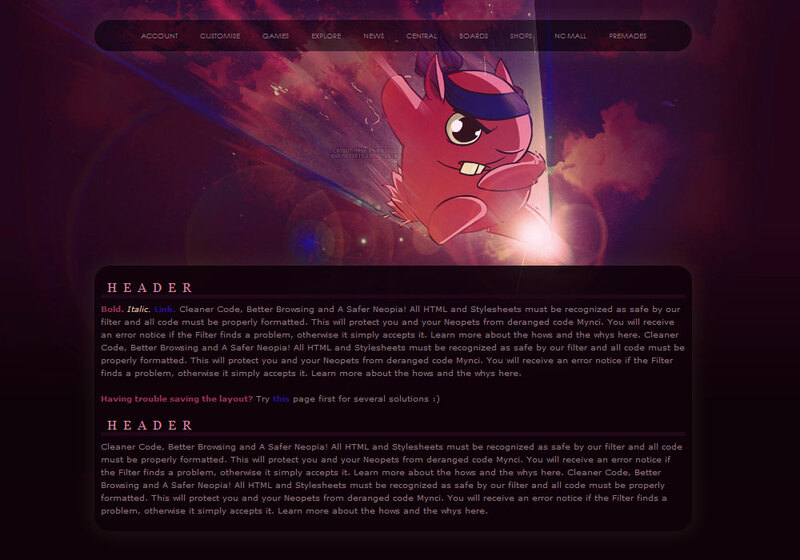 This will protect you and your Neopets from deranged code Mynci. You will receive an error notice if the Filter finds a problem, otherwise it simply accepts it. Learn more about the hows and the whys here. How to save the page: To save the page, click at the very end (not on a link) of the vertical navigation box and then use the tab-key. The save button should be selected, then hit the enter key to save the page. 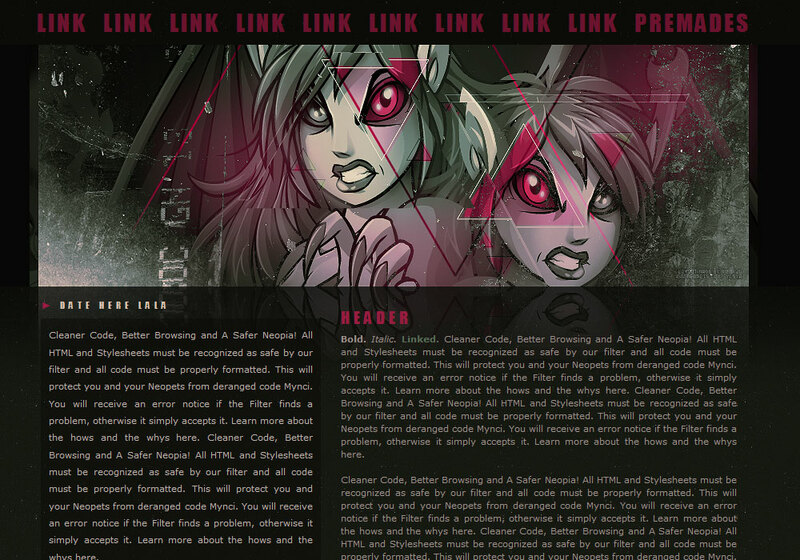 About this layout: This layout is intended for sites such as link directories. The navigation bar at the top is for the sitely links, the vertical navigation box is for the content, these should be page anchors. If you don't know what page anchors are, take a look at this page. Bold. Italic. Linked. Cleaner Code, Better Browsing and A Safer Neopia! All HTML and Stylesheets must be recognized as safe by our filter and all code must be properly formatted. This will protect you and your Neopets from deranged code Mynci. You will receive an error notice if the Filter finds a problem, otherwise it simply accepts it. Learn more about the hows and the whys here. Cleaner Code, Better Browsing and A Safer Neopia! All HTML and Stylesheets must be recognized as safe by our filter and all code must be properly formatted. This will protect you and your Neopets from deranged code Mynci. You will receive an error notice if the Filter finds a problem, otherwise it simply accepts it. Learn more about the hows and the whys here. Cleaner Code, Better Browsing and A Safer Neopia! All HTML and Stylesheets must be recognized as safe by our filter and all code must be properly formatted. This will protect you and your Neopets from deranged code Mynci. You will receive an error notice if the Filter finds a problem, otherwise it simply accepts it. Learn more about the hows and the whys here. Cleaner Code, Better Browsing and A Safer Neopia! All HTML and Stylesheets must be recognized as safe by our filter and all code must be properly formatted. This will protect you and your Neopets from deranged code Mynci. You will receive an error notice if the Filter finds a problem, otherwise it simply accepts it. Learn more about the hows and the whys here. Cleaner Code, Better Browsing and A Safer Neopia! All HTML and Stylesheets must be recognized as safe by our filter and all code must be properly formatted. This will protect you and your Neopets from deranged code Mynci. You will receive an error notice if the Filter finds a problem, otherwise it simply accepts it. Learn more about the hows and the whys here. Cleaner Code, Better Browsing and A Safer Neopia! All HTML and Stylesheets must be recognized as safe by our filter and all code must be properly formatted. This will protect you and your Neopets from deranged code Mynci. You will receive an error notice if the Filter finds a problem, otherwise it simply accepts it. Learn more about the hows and the whys here. Bold. Italic. Linked. For ways to save the page read this. Cleaner Code, Better Browsing and A Safer Neopia! Bold, Italic, Link. Cleaner Code, Better Browsing and A Safer Neopia! All HTML and Stylesheets must be recognized as safe by our filter and all code must be properly formatted. This will protect you and your Neopets from deranged code Mynci. You will receive an error notice if the Filter finds a problem, otherwise it simply accepts it. Learn more about the hows and the whys here. Cleaner Code, Better Browsing and A Safer Neopia! All HTML and Stylesheets must be recognized as safe by our filter and all code must be properly formatted. This will protect you and your Neopets from deranged code Mynci. You will receive an error notice if the Filter finds a problem, otherwise it simply accepts it. Learn more about the hows and the whys here. All HTML and Stylesheets must be recognized as safe by our filter and all code must be properly formatted. This will protect you and your Neopets from deranged code Mynci. You will receive an error notice if the Filter finds a problem, otherwise it simply accepts it. Learn more about the hows and the whys here. Bold. Italic. Link. Cleaner Code, Better Browsing and A Safer Neopia! All HTML and Stylesheets must be recognized as safe by our filter and all code must be properly formatted. This will protect you and your Neopets from deranged code Mynci. You will receive an error notice if the Filter finds a problem, otherwise it simply accepts it. Learn more about the hows and the whys here. Cleaner Code, Better Browsing and A Safer Neopia! All HTML and Stylesheets must be recognized as safe by our filter and all code must be properly formatted. This will protect you and your Neopets from deranged code Mynci. You will receive an error notice if the Filter finds a problem, otherwise it simply accepts it. Learn more about the hows and the whys here. Cleaner Code, Better Browsing and A Safer Neopia! All HTML and Stylesheets must be recognized as safe by our filter and all code must be properly formatted. This will protect you and your Neopets from deranged code Mynci. You will receive an error notice if the Filter finds a problem, otherwise it simply accepts it. Learn more about the hows and the whys here. Cleaner Code, Better Browsing and A Safer Neopia! All HTML and Stylesheets must be recognized as safe by our filter and all code must be properly formatted. This will protect you and your Neopets from deranged code Mynci. You will receive an error notice if the Filter finds a problem, otherwise it simply accepts it. Learn more about the hows and the whys here. Cleaner Code, Better Browsing and A Safer Neopia! All HTML and Stylesheets must be recognized as safe by our filter and all code must be properly formatted. This will protect you and your Neopets from deranged code Mynci. You will receive an error notice if the Filter finds a problem, otherwise it simply accepts it. Learn more about the hows and the whys here. This will protect you and your Neopets from deranged code Mynci. You will receive an error notice if the Filter finds a problem, otherwise it simply accepts it. + Layout made by Nienke. Bold. Italic. Link. Cleaner Code, Better Browsing and A Safer Neopia! All HTML and Stylesheets must be recognized as safe by our filter and all code must be properly formatted. This will protect you and your Neopets from deranged code Mynci. You will receive an error notice if the Filter finds a problem, otherwise it simply accepts it. Learn more about the hows and the whys here. 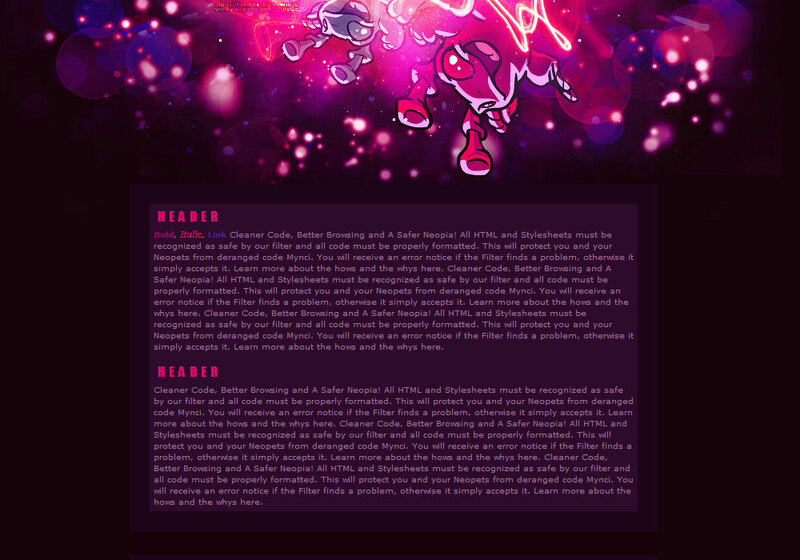 This layout has some very fancy headers, o boy, but this means that the coding is a little bit more difficult than your average header coding. Just copy and paste the headercodingparts, so you won't make any mistakes! 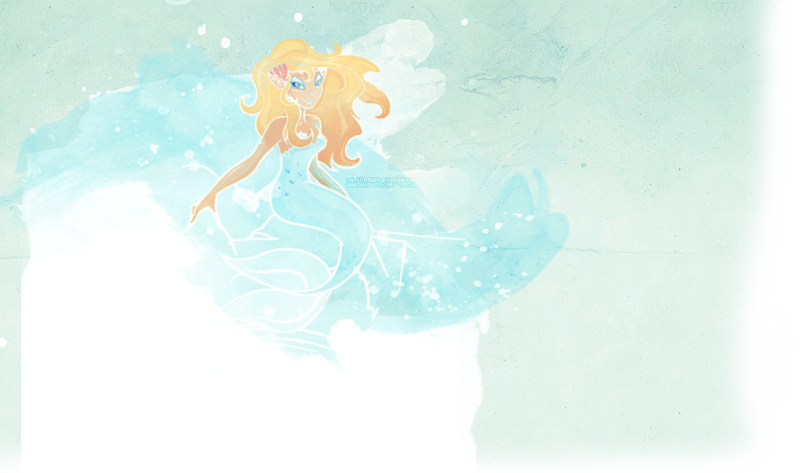 And wow, it's a different Header aaah!! NOTE!!! When you get a scrollbar, you have to put some breaks (br) at the end of your text because otherwise the image will overlap your text! O boy! 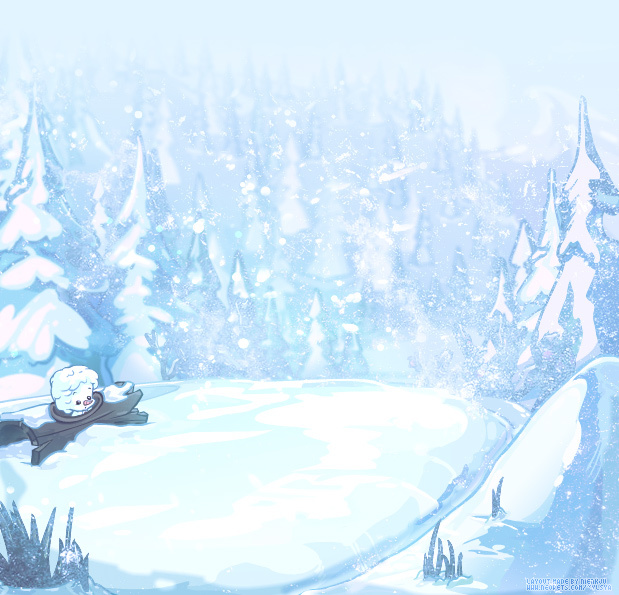 This is an other header! 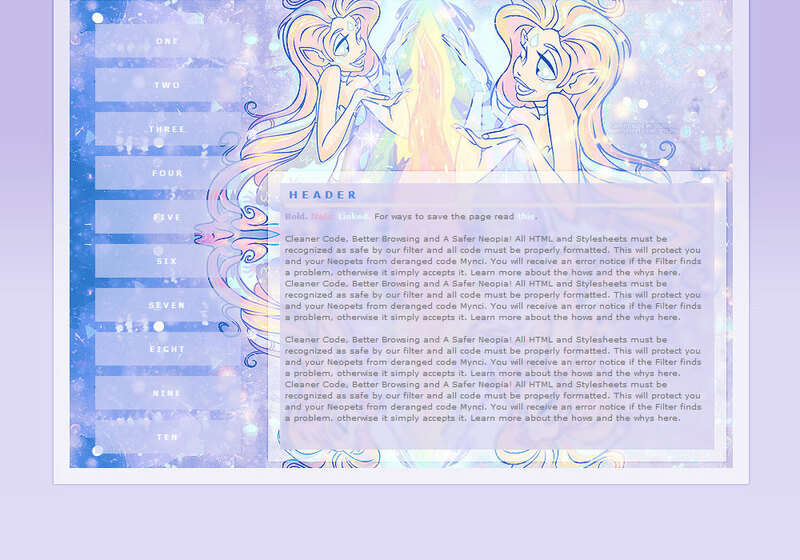 + Layout made by Nienke. Click here to get your own! Welcome! Here goes your welcome message. Try to keep it short, because otherwise you'll get an ugly scrollbar. Cleaner Code, Better Browsing and A Safer Neopia! All HTML and Stylesheets must be recognized as safe by our filter and all code must be properly formatted. This will protect you and your Neopets from deranged code Mynci. Your update goes here! Cleaner Code, Better Browsing and A Safer Neopia! 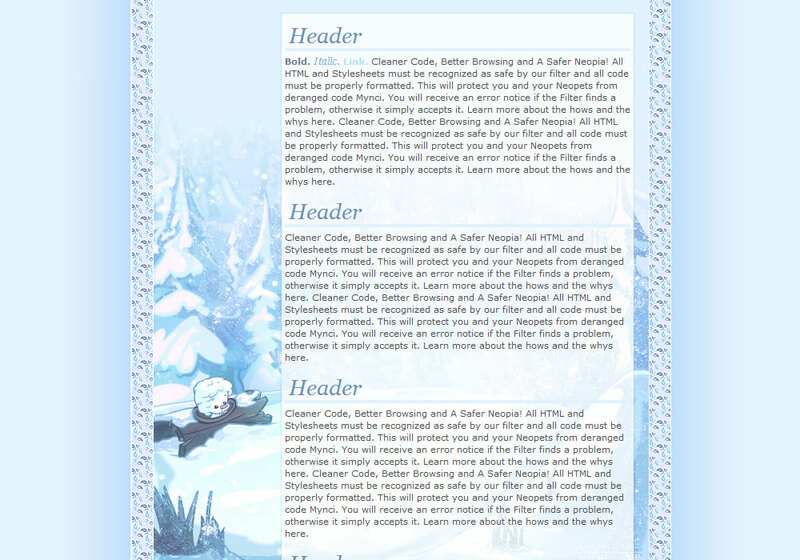 All HTML and Stylesheets must be recognized as safe by our filter and all code must be properly formatted. 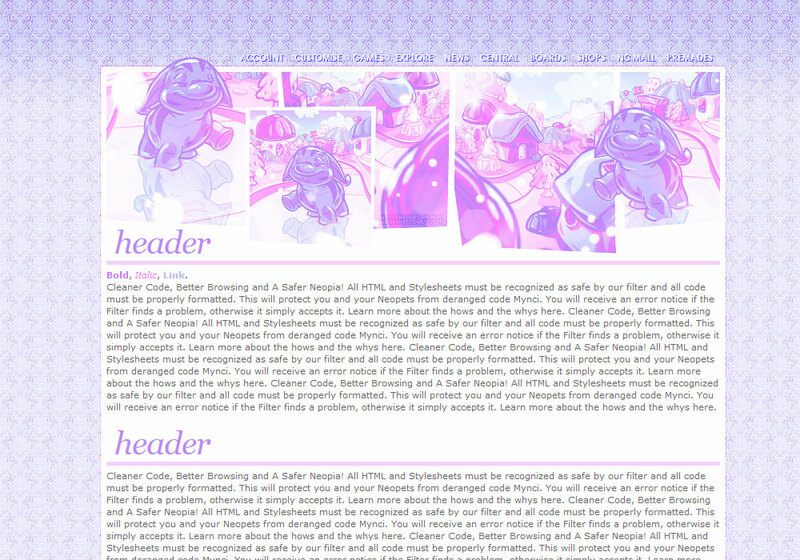 This will protect you and your Neopets from deranged code Mynci. You will receive an error notice if the Filter finds a problem, otherwise it simply accepts it. Learn more about the hows and the whys here.